Your friends are arguing and both have some valid points. What do you do? If you jump into the conflict and help them work it out, you might be a perfect candidate for a peace and conflict studies minor. It’s designed to equip students with knowledge and skills in conflict analysis, prevention, resolution and transformation for individuals, groups, institutions and communities.  Why study peace and conflict at Gordon? The peace and conflict studies minor was created so that students could learn how to mediate hard conflicts and establish lasting environments of peace in the context of the Christian liberal arts. You can choose to specialize either in global justice or in community transformation. You’ll became more empathetic and reflective as you seek shalom alongside your classmates and professors. What careers can I pursue with a minor in peace and conflict studies? Peace and conflict studies students created the Dialogue Club on campus to help students engage in healthy discussions and learn how to mediate conflict. You can practice your skills volunteering at a community partner like the New American Center, an after-school program for refugee students in Lynn. The majority of peace and conflict studies students study abroad in Zagreb, Croatia, in the Balkans Semester for the Study of War and Peace—a program designed for this minor. A peace and conflict studies minor pairs well with a major in sociology, social work, international affairs, political science or philosophy.